Russell Alan "Rusty" Turner, 57, of Rising Sun, IN, passed away at 11:00 PM, Tuesday, April 24th, 2018 while in the company of family members, at his residence. Rusty was born in Lawrenceburg, IN on June 23, 1960, a son of Lois Louise (Chappelow) Turner, of Clarksville, IN and the late Jack L. Turner. He was a graduate of New Albany High School, Class of 1978. Rusty worked as a truck driver, a job he was very proud of. He drove for Universal Environmental Services in Florence, KY. Rusty was a member of the Florence Masonic Lodge and the Posey Township Fire Department for over 20 years and an EMT for Posey Township. He was the husband of Susan Janet (Neiheisel) Turner. They were married in Sevierville, TN on July 19, 1997. He was a member of St. Mary's Catholic Church in Aurora, IN. Rusty and his wife Sue enjoyed being ushers and greeters at the church. 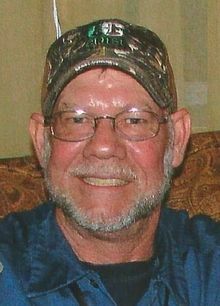 Rusty was a true outdoorsman and enjoyed working on his farm, hunting, fishing, riding four wheelers and shooting his guns. He also liked to dance with Sue or anyone and everyone. He was always keeping busy and expected the same from others. Rusty is survived by his wife, Sue Turner, of Rising Sun, IN; by his mother, Lois Turner, of Clarksville, IN; by three sons Adam Vogt (Jenn), of Rising Sun, IN; Michael Vogt (Maria), of Cincinnati, OH; Andy Turner (Michelle), of Greendale, IN; by a daughter, Tiffany Maynard (Brandon) of Villa Hills, KY; by grandchildren, Logan, Caden, Mia and Aryssa; by three brothers, Jerry Turner (Sandy), of Sellersburg, IN; Jeff Turner (Tammy), of New Salisburg, IN and Steve Turner (Julie), of Georgetown, IN. He was preceded in death by his father Jack Turner and his father-in-law Don Neiheisel.